It’s hard to believe, but it is the last blog cruise of 2012!! I have had so much fun sharing my thoughts with other homeschoolers, and reading what you all have to say. Our topic for this week is, appropriately, “I am thankful”. With the holidays right around the corner, it is so easy to get caught up in the busyness, but I really do try to take time every day to reflect on what I have to be thankful for. My family has faced many obstacles the last few years (health issues, finances, losing our home etc. etc. ), and I find it quite easy to sometimes slip into that “woe is me” mode. I find that reminding myself to “count my blessings” helps to keep me from falling into that trap. I am thankful for God’s undending love and mercy. That He forgives us daily and gives us the chance to start over with each new day. This is particularly important for a homeschooling mom who gets frustrated and loses her temper more than she would like. I am thankful for my health, and my family’s health. This is not to be taken for granted. We have had some health issues over the years, but they have been small compared to what many of my friends have had to go through. Honestly, if you can wake up in the morning and say that you and the people you love the most are healthy, that is the MOST IMPORTANT thing! I am thankful for the roof over our heads and the food on the table. No, it’s not the roof we thought we would have, and the meals aren’t exactly gourmet, but still, we have all that we NEED, and that is enough. I am thankful for my amazing husband whom I have been married to for almost 16 years now. We have had our trials, but together we have gotten through them. I am thankful he is a man who loves the Lord, and is committed to working so hard to take care of our family so I can be home with our children, where we feel God wants me to be. I am thankful for my crazy, active, funny, incredible boys. Yes, they frustrate me, especially when they do things like fight, or jump on the furniture when you’ve told them not to for the 100th time, or you trip over the shoes or toys in the hallway!! But, at times like that, I remind myself that they are growing every day, and time seems to be flying faster as they get older. I know the time will come when my house will be quiet, and will stay clean for more than one day, and when that happens, I will probably miss all the chaos, so I am going to do my best to enjoy it. I am thankful for my extended family and friends, who are always there when I need them, and I am thankful for the support I get from my fellow homeschooling moms, both online and in person. I am thankful to be able to homeschool my children without fear. I am thankful for my pets!! Our dogs and our cat are a part of our family….they bring all of us so much joy! 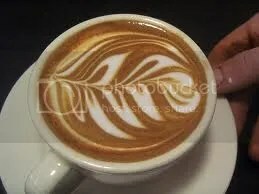 I am thankful for good books to read, and a nice hot cup of coffee in the morning and the occasional glass of red wine. I am thankful for our church and our church community. 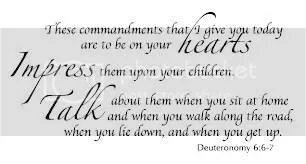 I am thankful to have children who have hearts that are already turned to God. I am thankful for all the memories I have of my nana and pop-pop, and I am very thankful for all they did to raise me. My list could go on and on….some days I just find thankfulness in the small things, like the fact that something new has sprouted in the garden. Other days…I am overwhelmed at the amazing and undeserved blessings God has bestowed on me. I hope you all have a wonderful Thanksgiving. 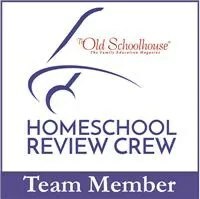 Our blog cruise topic for this week is “taking care of the homeschool teacher”. Wow…really?? You mean that on top of teaching, shopping, cooking and running my household I’m supposed to make time for me too?? But there are only 24 hours in a day!!! How can I possibly find time for everything and make time for myself?? Let’s face it, as homeschool moms, this is a conundrum we all face!! We carry so much responsiblity, and a lot of the time, what we sacrifice most in all of this is ourselves. Is it worth it?? Absolutely!! But, I have found out the hard way, that a mommy who doesn’t take a breather every now and then often becomes a cranky, impatient, short tempered woman!! So, with that in mind, I try to make a habit of snatching a few moments to myself every now and then where I can rest, relax, and recharge. I find that the most important part of this for me is dragging myself out of bed early in the morning, so I can have few hours alone before our day gets started. What do I do with this time?? Well, first, I make some coffee, and then I spend some time reading my Bible and in prayer. This is by far the most important time of my day. If I get lazy one morning, and decide to sleep in instead, I always regret it!! Every year I choose a new bible reading plan from one that I find online. I like to spend my mornings working on my reading for the day, and just spending time with the Lord. I find this always makes my day go better, because when I am done, I feel my spirit is truly refreshed. Usually after this time, I will watch the news, and play on the computer for a bit before I make breakfast. I like to use this computer time as “downtime” where I simply look up some new recipes on Pinterest, or play Song Pop on facebook. Is this wasteful?? Possibly, but I find that a little bit of “pure entertainment” puts me in a better mood, as I will spend the rest of the day wrapped up in homeschooling and chores!! I am lucky to have some really good Christian girlfriends too, and once a month or so, we get together for a game or “chick flick” night and leave the kids with our husbands! A little wine, some laughter and “girl talk” and I feel so much better. I am fortunate to have many friends with kids the same age as mine, and we are all in that place where we face a lot of the same struggles and challenges, so we can use this time to encourage each other and build each other up. It really makes a difference for me!! My best friend is a hair stylist, and she does my hair for free every two months or so as well. On those days, my hubby has a “daddy and boys day” with the kids, and I go see my friend and she does my hair and we usually have lunch. This works out really well for my kids and me. They get some one on one time with daddy (who works a WHOLE lot so I can stay home with the kids) and I get a little downtime with my bestie. She is usually the one I express my frustrations to, and she is always there to help me look at the big picture, and remind me that none of us is perfect, but we the important thing is to be faithful to the call that God has put on our lives. Of course, one of my favorite ways to unwind is a good book, and some chocolate. No, I’m not talking a “learning” book here..I read a lot of books on homeschooling and being a Chrisitan wife and mom, but some days, I just want to read for entertainment!! If I have a night where my husband has taken my boys out to do something, you will find me in my favorite chair, with a glass of Moscato, a dark chocolate bar, and something off the best seller list. I recently read Defending Jacob (which was really good) and Abe Lincoln, Vampire Slayer (which I enjoyed as well!!). The funny thing is, during my downtime, I find myself reflecting on this life that God has given to me. And even though there are hectic and difficult days, I just know that there isn’t anywhere else I need to be. I have to say, I am not a big believer in the idea that I have to have “me time” every day….I became a mom so I could be with my kids, and I want to enjoy them as much as possible before they grow up and go on to live their own lives. However, I find that a few moments here and there, help me to refocus on what is most important in my life, and help me to appreciate those times I have with my family all the more! How do you make time for yourself in the midst of your busy schedule? Leave me a comment and let me know! It’s the last day of our blog hop and our topic for today is homeschooling. Let’s face it, as busy as we are, homeschooling during this season can be challenging!! I usually try to lighten up our schedule, reducing our elective classes to a couple of days per week. We always take the entire week of Thanksgiving off, and usually we have a 3 week Christmas break. This isn’t a big deal for us, we just school until we finish everything that needs to be done, and we get to enjoy more of the holiday season together. I also try to focus some of our instruction on the holiday season. Usually we take a break from our regular bible studies to study something more topical. Last year, we used two unit studies from Notgrass for this purpose. The first, was Celebrate Thanksgiving, which had 15 cross-curriculum lessons focused on the history of Thanksgiving and included making a “Thanksgiving scrapbook” which was pretty cool! For Christmas we used Celebrate the Savior which consisted of lessons focused on the events surrounding Jesus’ eventual birth. With this study, my boys made a “baby book for Jesus” which I know is going to be a keepsake for years to come!! In addition, I am always on the lookout for “freebie” activities on line that I can use, and sometimes you find some good ones. I usually add these in on days where we are feeling that “holiday slump” and we aren’t very motivated to do school. I also check out as many holiday books from the library as I can, and use these for read alouds. This year I am looking at holiday unit studies from Hands of a Child. We have used some of their unit studies in the past, and we enjoy them and they are very affordable. I will probably try to download at least one by the end of the month. In addition, my husband and I like to do a special focus family devotional that runs from Thanksgiving to Christmas. Last year we used Celebrate Jesus at Christmas by Kimberly Reese. It’s a really nice family devotional that incorporates the figures from your nativity set as they journey to Bethlehem. I also used the book, The Angel and the Christmas Rabbit, which is just amazing!! It has 24 advent stories, told by the main characters, as the angel tries to think of a present he can give to baby Jesus for his birthday. I got both of these books from my library last year, but I am going to order this one for myself!! 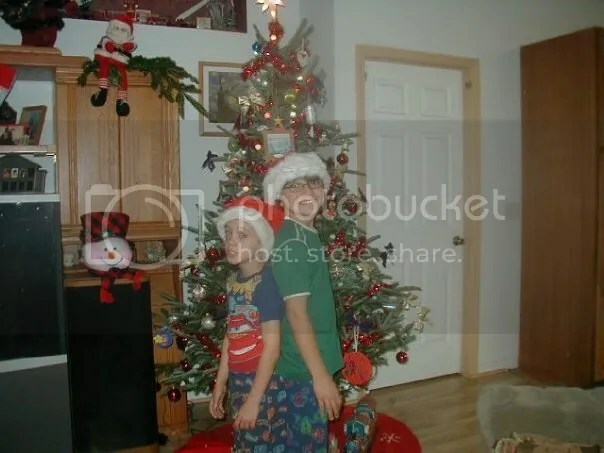 In the past, we have also done a Jesse Tree, and I just used resources I found on the internet for that!! For this year, I have been searching my library again, and I have a few books in mind for our devotional activities. I will probably start checking some of them out soon to see which ones I want to use. Some of the ones I am looking at for now are:The ADVENTure of Christmas, by Lisa Whelchel, Momma’s Enchanted Supper by Carol Dechant and Let Every Heart by Thomas Pless. I hope you enjoyed this special blog hop! Be sure to come back and visit me as I post my random thoughts and musings about all things home and homeschool. Have a blessed holiday season! Today’s blog hop topic is “gift-giving”, which, can be both a source of joy and stress in this season. It seems like everyone I know has a different idea of how to give gifts, how much to give, when to do the giving…etc. etc. 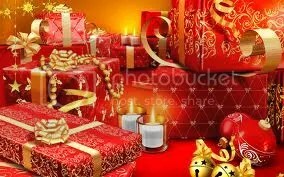 In our family, we try to go with a moderate approach, which is hard for me because I LOVE giving gifts to people!! Seriously, I love Christmas shopping for my family more than I love shopping for shoes!! (which is saying a lot, because I really, really love a cute pair of shoes! especially if they’re on sale 😉 ) There is something about searching for that gift you just know that person is going to love, and anticipating the look on their face when they open it!! To me, it’s one of the best parts of Christmas. Of course, I don’t have an unlimited budget, so I have to be frugal when shopping for gifts. My hubby has a large family that is spread out all over the place. As a general rule, we all only buy gifts for the people we are actually going to see in person for the holiday. Everyone else gets a Christmas card with pictures. This works well for all the brothers and sisters in the family, as the out of state relatives don’t have to worry about squeezing extra people (and shipping costs) into the budget. Every few years or so, one of us will visit someone else for the holidays, and then we will buy gifts for them. This year, my cousin (who is in the Navy) is coming to visit for Christmas and we are really excited!! I am looking forward to shopping for him and my uncle this year. I use the weekend after Thanksgiving as a chance to take my boys through all the “stuff” in their rooms to decide what they want to keep, what they want to get rid of or donate, and what they may need. This helps them to make decisions about what to ask for for Christmas, and also makes room for the new stuff. In our immediate family, my hubby and I set a budget per person and that is what we spend. Usually, my boys write their “letter to Santa” after Thanksgiving and list three things they really want. From that list, we pick one for each boy to be their main gift (which comes from Santa) and then we let the grandmas know about the other two. We typically fill out the rest of the budget with books, smaller toys, clothes etc. My kids know that the number of presents they get won’t always be the same. As my oldest son grows, he asks for fewer things but they are, unfortunately, usually more tech-related and expensive. So he may only get two or three gifts. My younger son still loves action figures and legos, so he may end up with more gifts under the tree because they don’t cost as much! On a side note, yes, we make Santa a part of our Christmas celebration. I know a lot of people don’t, and that’s fine, but for us, it just adds to the fun. I remember the first time my oldest was big enough to recognize what Santa represented (I think he was about 3). He woke up on Christmas morning, walked out to the living room, and came back to me all wide-eyed and excited saying “Mommy, he really came! Santa came!!”. The look on his face was just amazing. I am a huge fan of Santa, and every year we have fun checking out the NORAD Santa Tracker on Christmas Eve day and watching movies while we wait for presents to be delivered. For my family, it’s an additional part of our celebration we look forward too. My boys are at the age where they may not “officially” believe anymore, but they play along because it’s just one more thing we all have fun doing together! I am happy to say that my boys share my spirit for giving gifts as well. Now that they both regularly earn allowance, they set a budget for each other and both my husband and I and we take them to the store and allow them to pick out their own gifts for everyone. They really enjoy this, and will often spend a long time picking something out, then they come home and wrap it right away and put it under the tree. 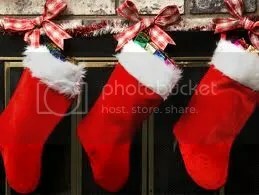 Usually, on Christmas morning, they want us to open their gifts as soon as we get done with the stockings, because they are so excited to give them to us! I especially like the idea of the love letter, and I plan to use that one this year!! So, if you’re like me and have a hard time figuring out what to stuff the stockings with, check those lists out! Of course, now after writing this post, I just realized how much work I have to do over the next couple of months. As much as I love the shopping, I am one of those “last minute, the week before Christmas” kind of girls. (LOL). Every year I SAY I’m going to get an early start, and every year I don’t. I’m going to try very hard to do it early this time, but I can’t make any guarantees. Are you an organized, early shopper who can give me some tips? Leave a comment and let me know! And be sure to check out what everyone else had to say about gift-giving! 5 Days of Preparing for the Holidays Blog Hop: What’s cooking? Today’s blog hop topic is holiday cooking!! Who doesn’t love the way the house smells when you start making those yummy holiday recipes!! Cookies, pies, cakes, ham, sweet potatoes….it just makes my mouth water thinking about it. In our house, though, the traditional holiday dinner doesn’t usually happen. My husband is a firefighter, and he works 24 hour shifts. His shift is the one that works the most holidays, so he has been at work more than he has been home for Christmas for as long as we have been married. What does that mean for us?? Well, it means we have eaten many a holiday dinner at the fire station. 🙂 When we first got married, that was hard for me, but honestly, now, I like it. We are very close to the families of my hubby’s crew, and our kids are used to spending holidays hanging out at the station. Actually, it takes a lot of the burden off of me, because when we go to the station, the crew cooks most of the main meal, and the families bring the side dishes!! So, for us, our big “Christmas” meal is usually on Christmas Eve. The thing is, I don’t like to tie up the one day we have with my hubby with cooking, so I like to use my crock pot for our Christmas Eve meal. 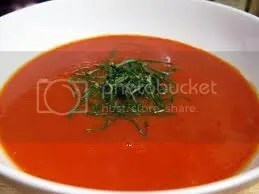 This year, I am making a tomato soup, which I will serve with potato pancakes (my nana used to make these all the time, and I love them. Of course, she made hers from scratch, and I use a boxed mix, but it’s still kind of the same!!). 1. Preheat oven to 450, line baking sheet with foil. Arrange tomatoes on foil in single layer. Sprinkle with brown sugar and top with onion. Bake about 30 min. Allow tomatoes to cool then finely chop. 2. Place tomato mixture, 3 cups reserved liquid, broth, tomato paste and allspice in crock pot. Mix well and cook on low 8 hours or high 4 hours. 3. Add evaporated milk and basil. cover, cook on high 30 min. or until hot! 2. 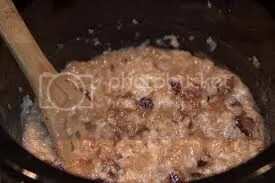 Combine milk, 3 cups water, the oats, 1/4 cup of the brown sugar and the salt in the slow cooker. Cover and cook overnight on low for 9 1/2 to 10 hours. 3. Uncover slow cooker and stir in remaining 1/4 cup brown sugar. 4. Make topping: coat nonstick skillet with cooking spray and place over medium heat. Add apples and cook 4 min. stirring occasionally. Add brown sugar, 1 tablespoon water and dried cranberries. Cook 1 min. Remove from heat and stir in nuts. 5. Serve oatmeal with toppings!! I am hoping we will have some pleasantly cool weather for the holidays this year, but we do live in Florida, so you never know. If not, we will just pretend it’s cold outside while we eat our oatmeal. Finally, one of the best parts of Christmas to me, is the desserts!! 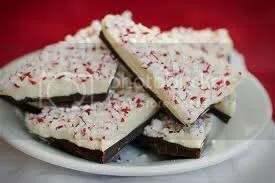 One of my family’s favorites (and a big hit at the fire station too) is Peppermint Bark!! I first melt the dark chocolate chips on the stove. I find the best way to do this is to put a small amount of water in a pot and bring it to a boil. I then place the chips in a glass bowl over the top of the pot and stir until they melt (I don’t have a double broiler, so this is how I make do!!). I then spread the melted chocolate on a cookie sheet (covered in aluminum foil or the Reynolds Wrap Pan Lining Paper). I place the cookie sheet in the fridge and allow the dark chocolate to harden while I melt the white chocolate chips in the same way I did the others. Once those are melted I spread the white chocolate over the dark chocolate and then top with the broken candy canes!! (By the way, what is your method for breaking up candy canes?? I usually just hand them to my boys and let them have fun!). I then place the cookie sheet back in the fridge and wait for the bark to get hard enough to break into pieces! So, that is holiday cooking at my house!! How do things work for you? Do you do all the cooking? Does everyone pitch in? 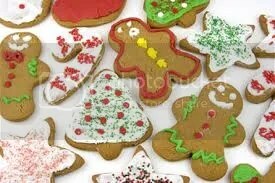 What are your favorite holiday recipes?? Leave me a comment and let me know, and be sure to check out the other blogs on this hop for more holiday cooking ideas! Come back tomorrow so we can talk about holiday gift-giving! Welcome to the first day of the blog hop!! Our topic today is decorating, which is one of my favorite things to do!! The holidays are my favorite time of year, and I start getting excited around the end of October!! 🙂 For Halloween we have pumpkins, for Thanksgiving, scarecrows..and for Christmas, well, there’s a lot!! We have a tradition in our family where we always go get our Christmas Tree the day after Thanksgiving. My hubby and I started this tradition the first year we were married, because there was a Christmas Tree lot right at the entrance to our apartment complex!! Of course, choosing a tree is often difficult (seriously, it reminds me of the scene from A Christmas Story 🙂 ), but it is always fun. I do wish we could go to a farm and cut down a tree of our own, but we live in Florida, and there aren’t a whole lot of places to do that around here. However, every year we go to NC for summer vacations, and we see lots of little trees growing on the farms. We always wonder if the one we picked comes from there! Our tree decorations are a mix of family heirlooms (some passed down for generations) and newer ornaments we have added through the years. Each year since my boys were 5 years old, I take them to the store (usually Hallmark) and allow them each to pick out one ornament. I write their name and year on the box, and they always enjoy putting these special ornaments up. I figure, when they grow up and get married and have a tree of their own, I can give them these ornaments to put on it. I remember the first Christmas my hubby and I had together, neither of us had a lot of ornaments of our own, so I thought this would be a nice way for them to bring some of their childhood to their own Christmas tree. We also have a large collection of Santa’s (mostly from my mom, she used to work at the Cracker Barrel and gave a lot of their stuff as gifts). But the decorations that mean the most to me are probably ones that were handed down from my nana. I have these little porcelain “Merri-Bells” that she gave me that are very special. I remember playing with them when I was young, and they always make me think of her. The fun of decorating for the holidays for me is the time I get to spend with my family, and the anticipation it builds for the holidays itself. If you have any great decorating ideas, leave me a comment. 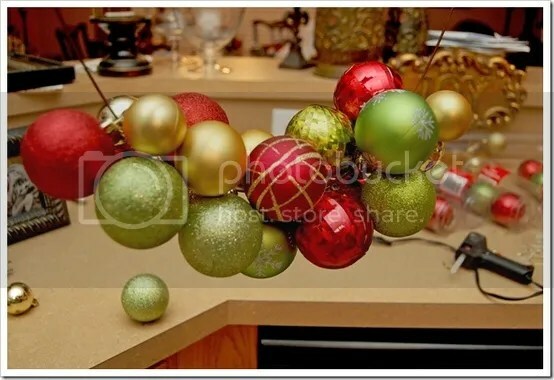 Make sure you check out the rest of posts on the blog hop to see how other people decorate for the holidays! Grace and Truth books is a Christian bookstore with loads of products for adults and kids! If you are looking for faith-filled, God-honoring stories to read to, or with, your child, this is the place to find them. For this review, we got to check out two books from the Children’s Character Building Collection. These books are reprints from the American Tract’s Society’s children’s selections from the 1800’s, and there are books for boys and girls. 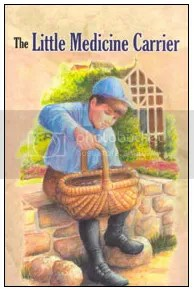 The first book we read was, The Little Medicine Carrier. In this story, you meet 11 year old George, who gets his first job as a medicine carrier, delivering medicine to the people in the town he lives in. Along the way, George faces many temptations that may get in the way of doing his job, and he learns some important lessons in honesty too. Even though this book is old, it is written in an easy to read style (i.e., not a lot of “Old English” language). The characters are relatable, and the main adults in the story are always encouraging the children to make choices that bring honor to the Lord. This is a great book to open up discussions with your children about what it means to work hard and be honest and responsible, even if no one is looking. My son (who is also 11) easily read this story on his own and really enjoyed it. He thought George and his friends were fun, and he was very quick to point out the lessons he learned….he also said “Hey, maybe I could get a job as some sort of delivery boy” :). The Little Medicine Carrier costs $4.75 (as do most of the other books in this collection) and I believe it is worth every penny! 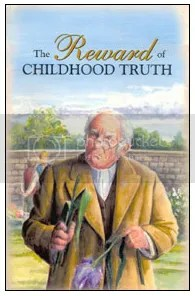 The second book we got to read was The Reward of Childhood Truth. This book consisted of two seperate stories, both with a similar theme. In the first story, Charles and Harry run into some trouble with a neighbor. This neighbor is a proud and somewhat lonely man, who is not a Christian. Throughout the course of the story, the boys honesty and truthfulness work their way into the heart of the neighbor, and he experiences a very happy change in his life. In the second story, young Mary experiences the consequences of lying. The Holy Spirit works in her heart to lead her to confess, and she learns that telling the truth is always the best option. Again, both of these stories are written in easy-to-read language. After we finished the stories, we had some very heartfelt discussions about how our actions can bring honor and glory to the Lord, and also reach other people for him. The children are much like our own boys and girls, and I think that is what makes these stories so much fun to read! The Reward of Childhood Truth also costs $4.75, and will work as a read aloud or read alone story! **Disclaimer: I received free copies of these books for the purpose of writing this review. All opinions expressed are my own.